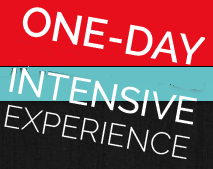 The One-day Intensives at CI provide a in-depth Ecstatic Trance Posture experience without the time commitment needed for our longer workshops. This is an all day intensive workshop and through direct experience, you are inspired by guidance from the realms for your specific life-journey. 9:00 am – we gather in the Student building for registration and introductions. 9:30 am – Overview and selected topic of our gathering will be introduced. 10:00 am – Ecstatic Trance Posture and ritual gathering. 1:30 pm – Afternoon presentation. Expanding the understanding of our experience. 2:00 pm – Ecstatic Trance Posture and ritual gathering. We go deeper into ritual with expanded components. Our mission is to promote a safe, positive and friendly environment that will advance both our individual and group experiences. The brief lectures hit the high-points and assist to expand your personal practice and understanding of expanded states of conciousness. The Intensives provide an excellent opportunity, ideal for both the beginner and advanced individuals wanting a quick refresher course. Arrive in the morning with a desire to learn and experience; with the Ecstatic Trance Postures as your guide.